In the decades preceding the drug war the population of Ciudad Juarez exploded as droves of workers came in search of jobs promised after the implementation of several international free trade agreements. Officials did little during this time to boost infrastructure. Instead policy makers focused on keeping labor on the border cheap and competitive with countries like China, India and Pakistan. The area of Juarez where most factory workers lived had one high school until 2011 for over 600,000 inhabitants. It took years for water and electricity to make it up the mountainside were the factory workers lived. 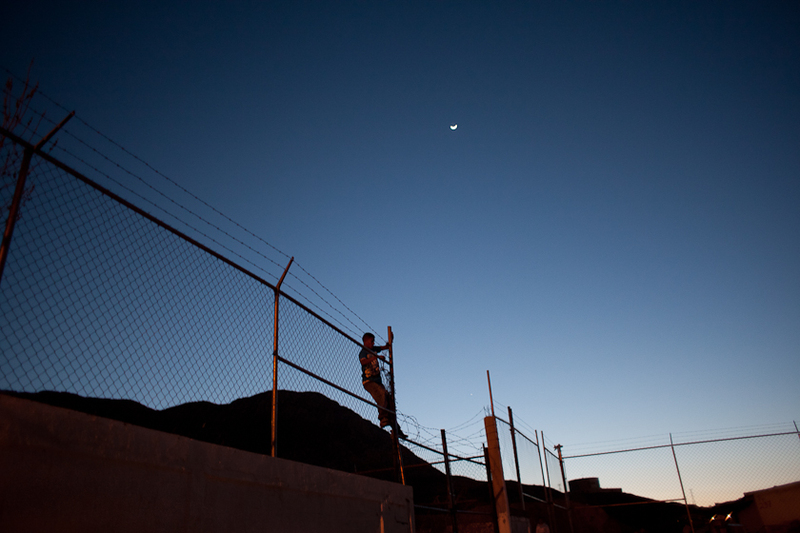 The city’s proximity to the United States and the flow of drugs, coupled with limited social opportunities, helped fuel the environment that made Ciudad Juarez the most violent city in the world. In 2008 when the Sinaloa Cartel entered to take over the local drug trade the cartels began employing youth after the death toll kept rising. The disgruntled teenagers of the city took to the streets to become sicarios or hitmen. By 2012 the death toll would reach over 10,000. In the decades preceding the drug war the population of Ciudad Juarez exploded as droves of workers came in search of jobs promised after the implementation of the North American Free Trade Agreement. Thousands came from the collapsing agricultural industry on one-way bus tickets paid for by recruiting companies to fill the assembly lines. Ciudad Juarez, with almost no natural resources, became an international economic hub overnight and the face of a new era in Mexican trade. Its commodity: cheap labor. Commercial real-estate expansion there was the highest in North America. Foreign investment continued along the border despite years of violence. Maquiladoras, or manufacturing plants, pay less than 100 US dollars a week to their labor force. In a city where the cost of living is nearly on par with the United States, the lure of easy livable wages from working for a cartel is an irresistible temptation to many Juarenses struggling with meager incomes. 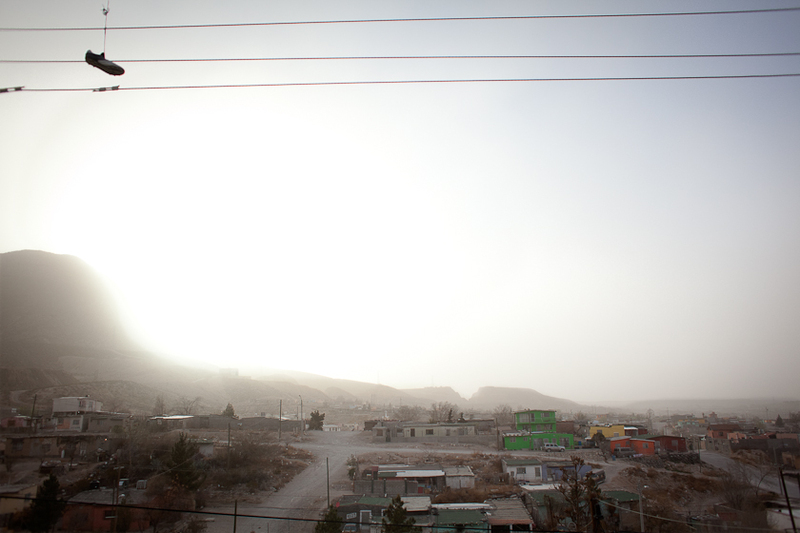 The area of Juarez where most factory workers live had one high school until 2011 for over 600,000 inhabitants. 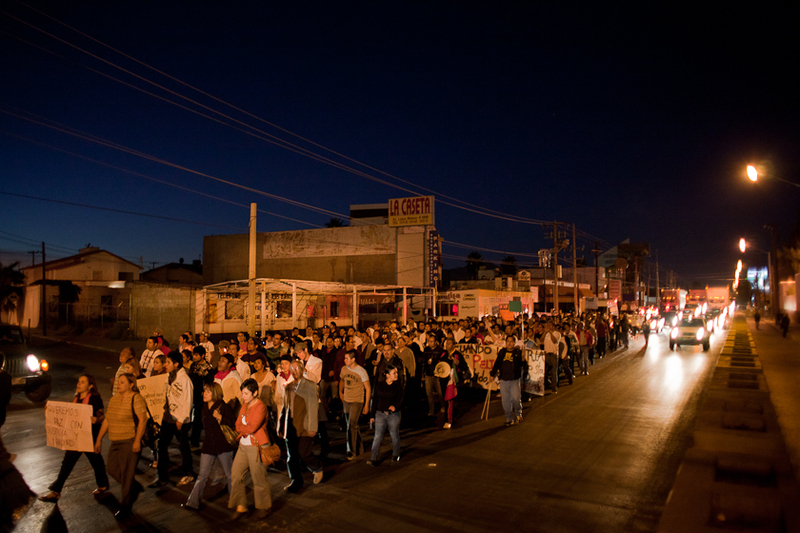 Juarez’s proximity to the United States, illicit trade, coupled with limited social opportunities, fueled the environment that made Ciudad Juarez the most violent city in the world. In 2008 when the Sinaloa Cartel entered to take over the local drug trade the cartels began employing youth and used existing street gang infrastructure to battle for the city block by block. Disgruntled teenagers took to the streets to become sicarios or hitmen. By 2012 the death toll would reach over 10,000. This pattern has now been repeated in cities across Mexico and into Central America. 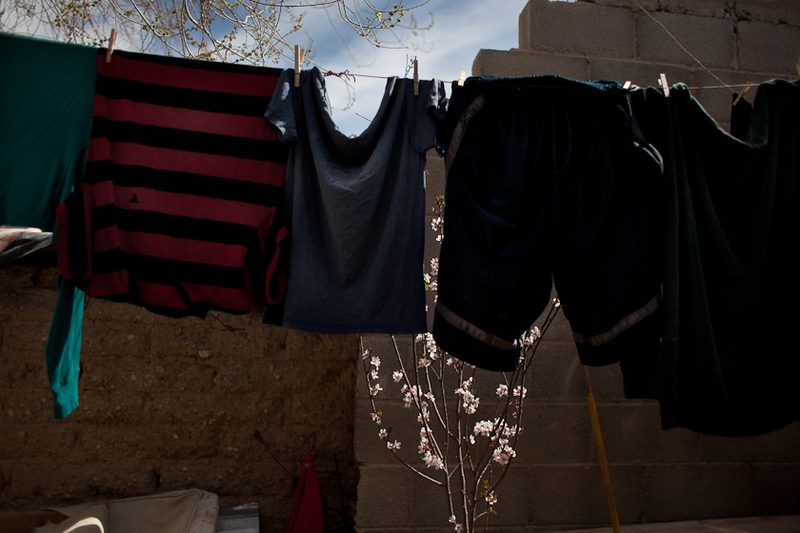 The most vulnerable social group in Juarez is “Los Ninis,” young men and women who earn their name from the phrase “ni estudian, ni trabajan” (those who neither work nor study). According to a recent study by the Colegio de La Frontera Norte, as many as 45 percent of all Juarez residents between the ages of 14 and 24 fall into this category and they make up a quarter of the city’s total homicide victims. 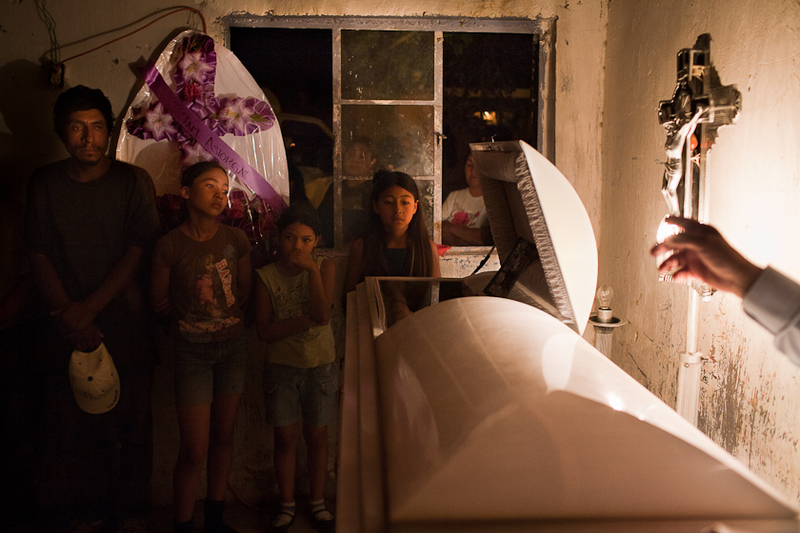 Massacres of Juarez’s youth were common—they were gunned down at parties and targeted at rehab centers. Killing was indiscriminate. The first mass killing of youths took place in January 2010 when 15 teenagers were gunned down at a party where friends had gathered to celebrate a birthday. Fourteen other teens were gunned downed in October 2010. Without work, or a real incentive to work, young people are increasingly turning to the cartels where the boundaries between crime and an honest path are often blurred by the bloodshed and fear enveloping the city. 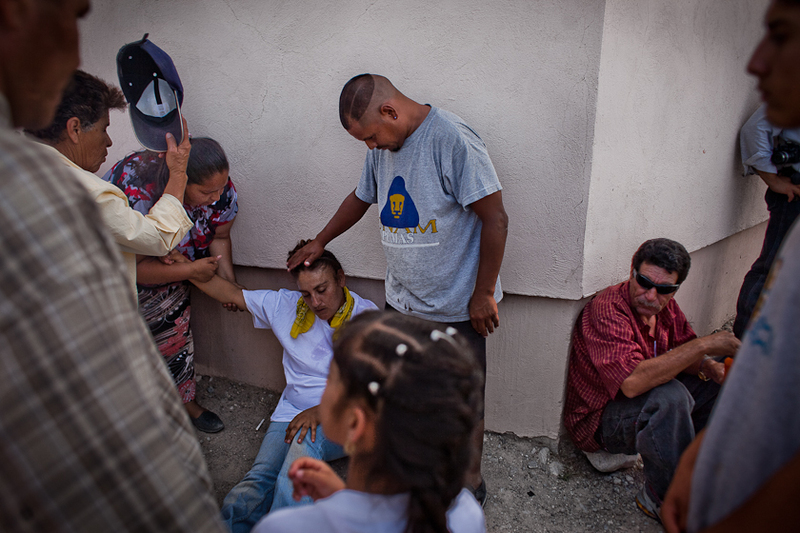 Siciarios, or hitmen, still haunt Ciudad Juarez, but they have grown tired of killing. At their bloodiest, the homicides exceeded 300 murders a month, July 2012 – a record month – would see 48. And yet, while “life has returned to the murder capitol of the world,” the question remains: at what cost? Authorities have been quick to attribute the drop in violence to policing and social programs, but residents claim Joaquin “El Chapo” Guzman’s Sinaloa Cartel has finally tightened its grasp. The scene of a murdered couple. The woman was far into her pregnancy. The couple’s heads touched in a last embrace. A single bullet entered the man’s skull and took all three lives. It is difficult to say who these victims were. The back of their truck was filled with glass and tools. It is possible that they were workers killed for not paying an extortion to the cartels. It is also possible that they were somehow involved in organized crime. At the time it was to dangerous to investigate their deaths. In 2010 alone there were 3,100 reported murders in the city. There are projections that 2011 will yield 5,000 deaths. A member of the Novenos climbs a fence. Denise watches lights go by outside the back window of a van. Her family is from Mexico City and moved to Juarez because of domestic violence in the family. Now the family has considered returning because of violence in Juarez. A young boy keeps warm by a fire in the Noveno Barrio, one of the oldest maquila worker settlements in the city. From right, Juan "Pollo," 19, and his wife Liz, 18, try to get their baby girl to stop crying. Pollo left the Noveno barrio after a rival gang killed several friends and began seeking him out. Now Pollo works in a factory insulating steel cables and makes roughly 50 USD per week. Prisoners line up for lunch at the state penitentiary. A view of some of the poorest regions of Ciudad Juarez made up primarily of factory workers for work for foreign companies. 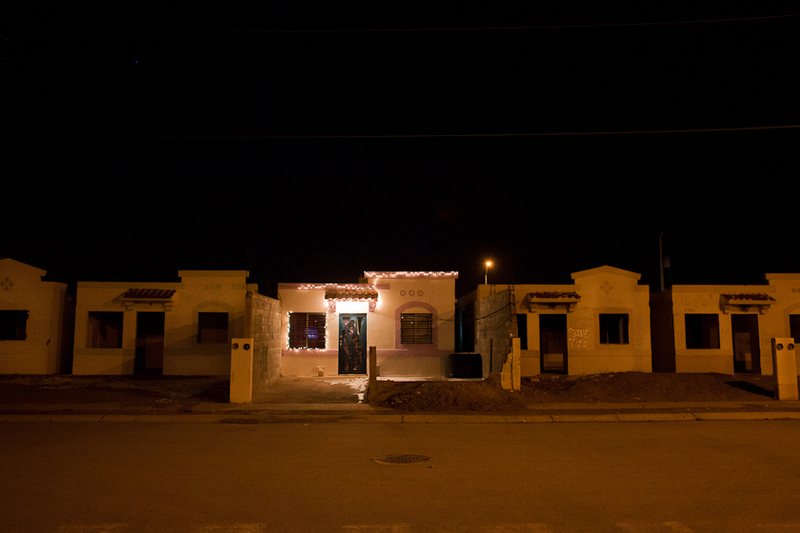 Diego Montejano grew up in a poor neighborhood of Juárez, Mexico, at the height of the drug wars that ravaged the city from 2008 to 2012. During that time Juárez was considered the most dangerous city in the world, with a reported homicide rate of 10 people a day in 2010.